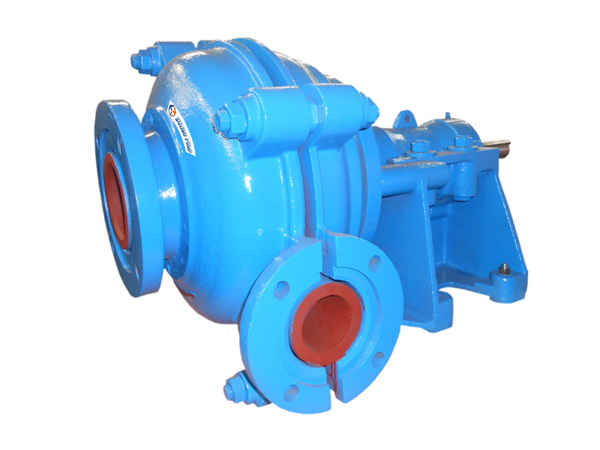 SL type pumps were designed specifically for successive use in slurry type applications where a large flow at a low to medium developed head is required. The type SL pump with its encapsulated design is similar design to the HS pump, but with a significantly reduced physical size when compared to the HS pump. Bearing assembly -- All bearings assembled with highest quality tapered roller bearings in controlled environments to prevent lubricant and housing contamination - oversized shaft diameters and reduced overhang in the wet end contribute to long life and reliability in the field. Pump Casing -- Split-case design allows for ease of access and maintenance on wet end parts cast ductile iron with exterior ribbing provides increased pressure ratings and reliable service over time.